This unusual piece is by the English company W H Goss who specialised in crestware. 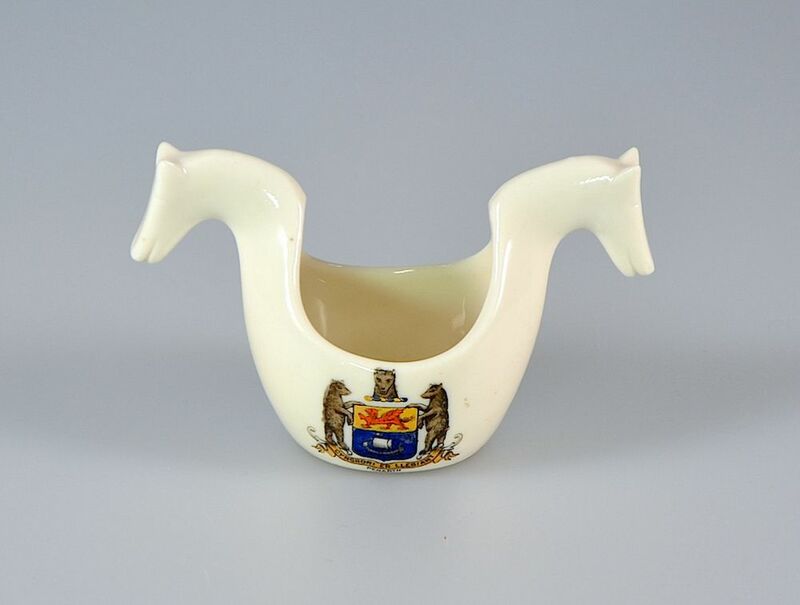 Made in cream porcelain it is a model of a Norwegian horse shaped beer barrel and is decorated with Penarth's town crest incorporating a Welsh dragon and a sailing ship supported on each side by an upright brown bear with a bear's head above. 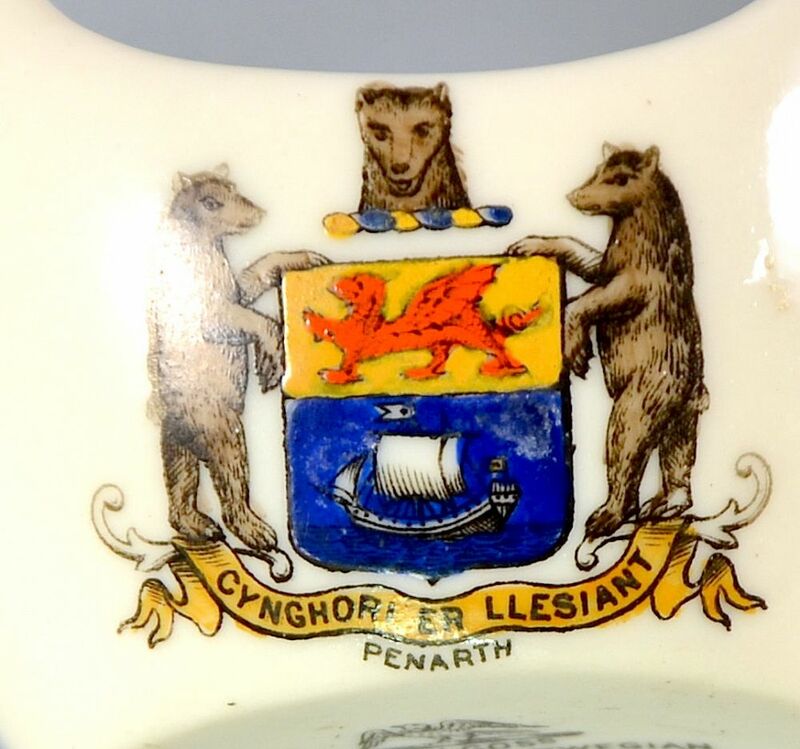 Beneath the coat of arms are the words "Cynghori en Llesiant" in Welsh which translates as "to counsel for good" with the word "Penarth" below that. 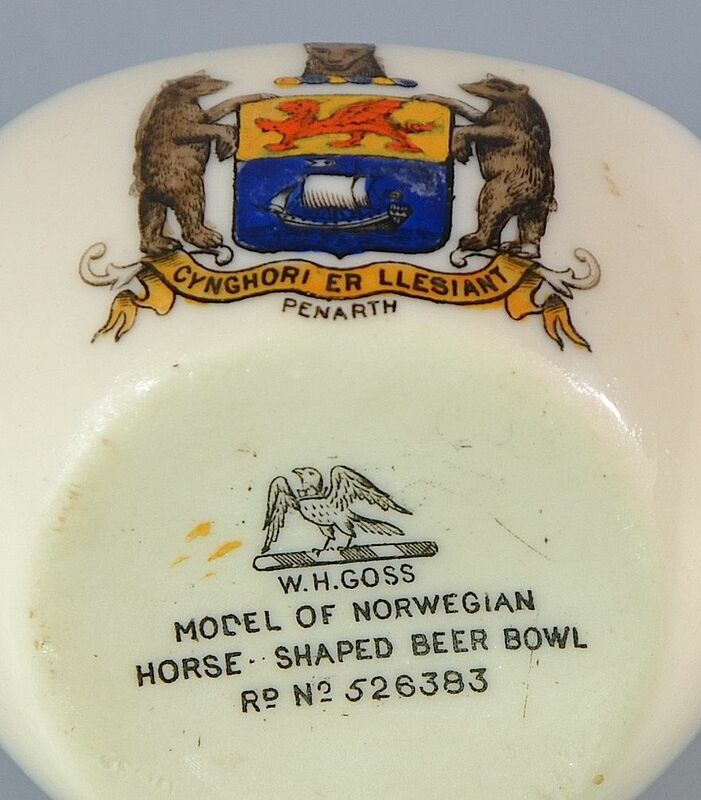 The base bears the black W H Goss mark with the words "Model of Norwegian Horse-shaped Barrel Rd. No. 526383". As this piece has a registration number it was made during the period 1884 –1914.